It was a dream. It was an ambition. It was a challenge. It was a hope. My trip would have been to Noma in Copenhagen but my heart (or was it God?) told me Spanish food. So I made my restaurant reservation 9 months in advance, bought my air and train tickets to Girona, at Catalonia Spain. 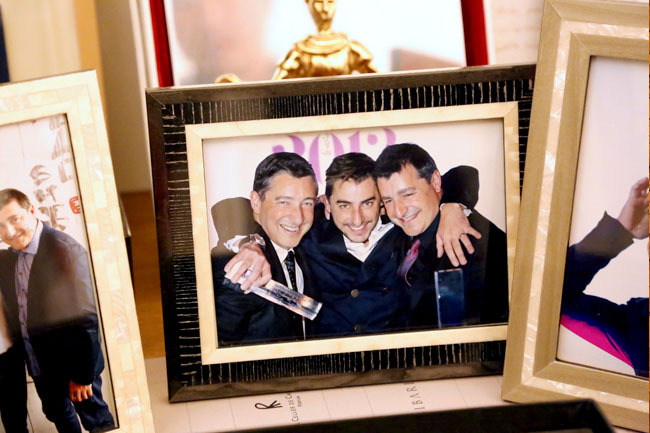 And then El Celler de Can Roca won The World’s Best Restaurant in 2013 and 2015! It felt ecstatic, as though I had strike jackpot. 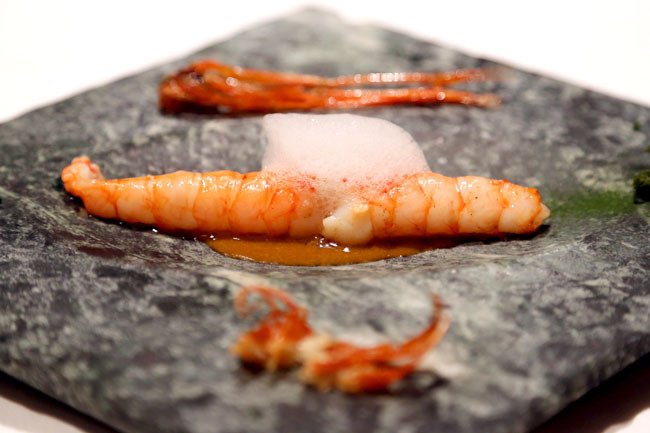 My journey to El Celler de Can Roca began. While Girona is about an hour’s train ride from Barcelona, I took the opportunity to do a Barcelona – Valencia – Granada – Seville – Madrid – Girona itinerary, and every part of Spain is a culinary adventure. 3 days in Girona, there was no bad food there. 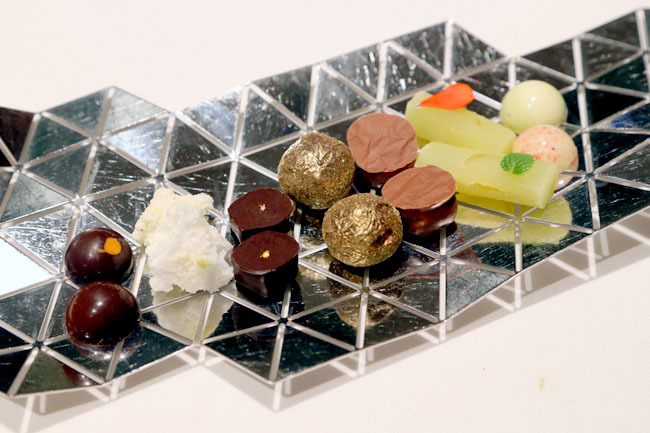 El Celler de Can Roca was founded by the Roca brothers – the eldest Joan Roca the head chef, Josep Roca the sommelier, and youngest brother Jordi Roca the dessert chef. Their connection as a family simply shines through their presentation. 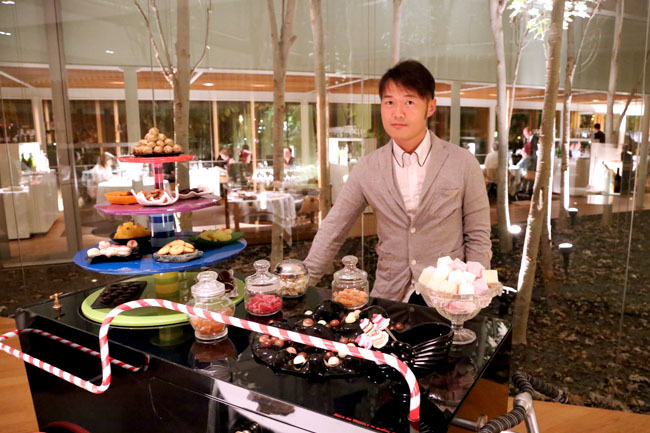 Walking in the top restaurant in the world was indeed a dream come true. I didn’t know what to expect. 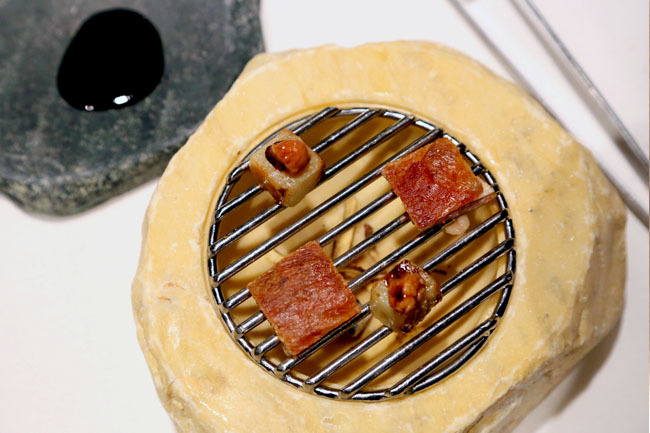 When the amuse-bouche came wrapped in a mysterious ‘lantern’, I knew I was in for a joy ride. Called “Around the World”, the service staff unwrapped a black paper globe like a Christmas gift by untying a ribbon, revealing an wooden holder with five sticks of small bites – representing Mexico, Peru, Korea, Lebanon and Morocco. 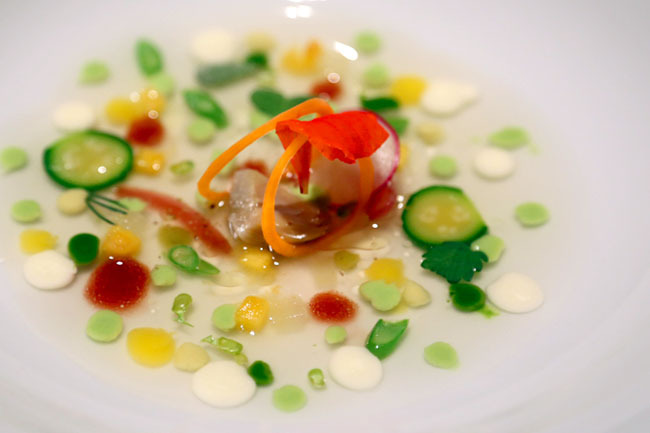 Be careful when you are consuming ‘Peru’, it is a white ball an explosive ball of ceviche broth. If you get Thailand, it is frozen spiced fish stock coated in cocoa butter. You know what you are getting into: the food here is out of this world. 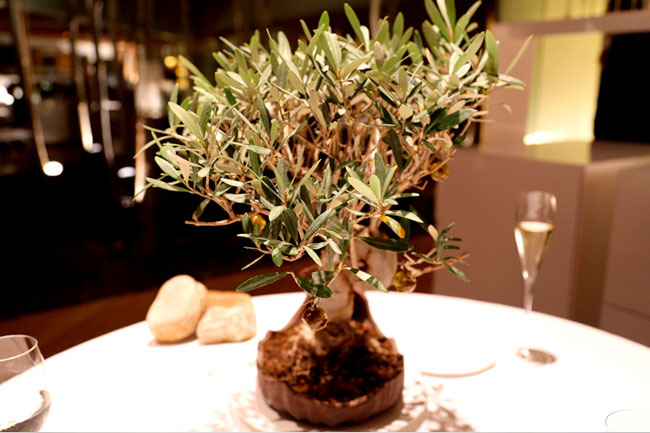 The next appetizer was caramelised olives which were hooked on a bonsai tree. So you pluck and eat from the plant. Suddenly eating a meal here felt so exciting yet surreal. Fig Leaf, a combination of different types of figs in one – fig lead cheese, fig leaf terrine, fig ice cream, grilled fig and natural fig. 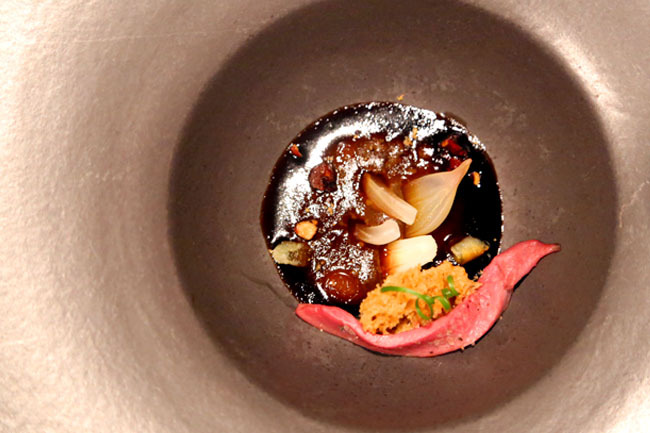 Charcoal-grilled lamb breast fillet and sweetbreads with eggplant, coffee and liquorice. 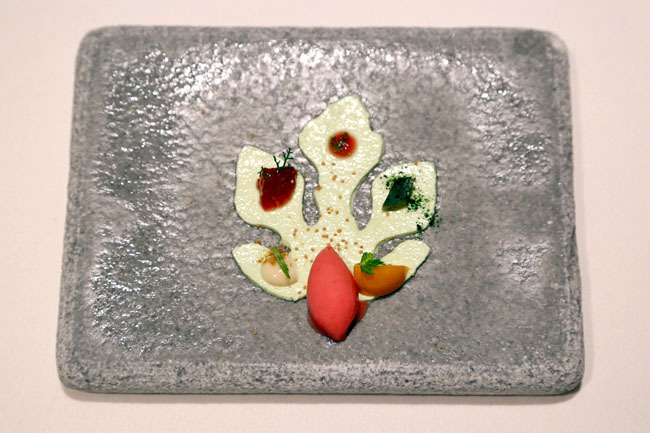 Another stand-out dish was one based on perfume, where this Chai cream with blood orange, vanilla, mango and roses smelled like Shalimar by Guerlain fragrance. Yes, they sold the perfume in bottles too. 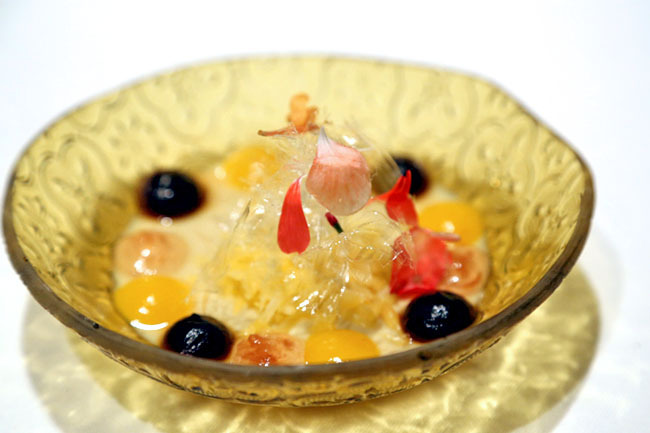 A meal at the 45-seater El Celler de Can Roca involves all your senses – from the most obvious sight and taste, to smell and touch. 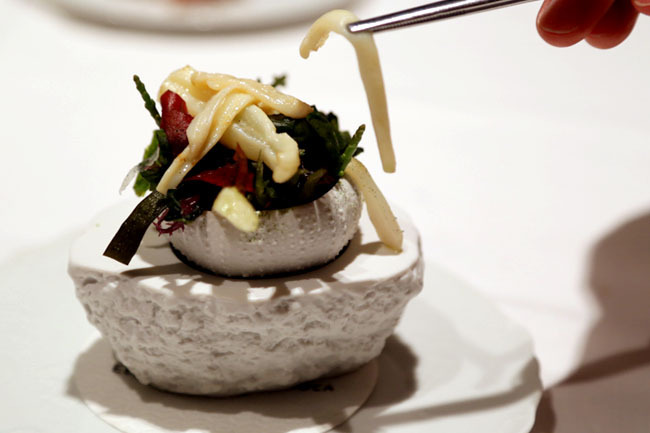 I been to a few 3 star Michelin restaurants, but none has the level of quality and (can I use the word) fun. 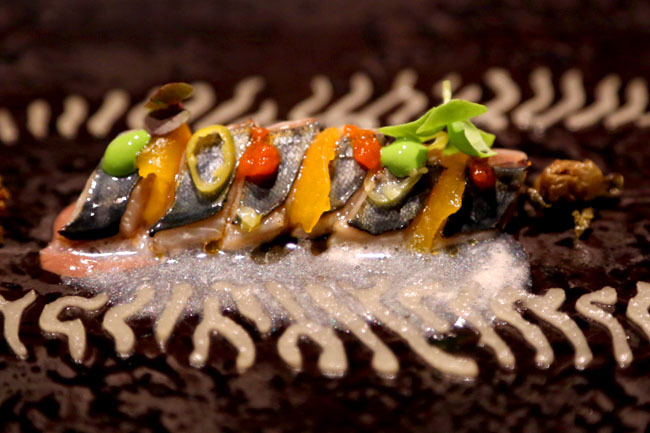 The Roca brothers are indeed culinary geniuses. Total number of mains: 14 (excludes appetisers and desserts). Price: 190 Euros (SGD$331, USD$261), with matching wines 90 Euros extra (SGD$ 157, USD$123). 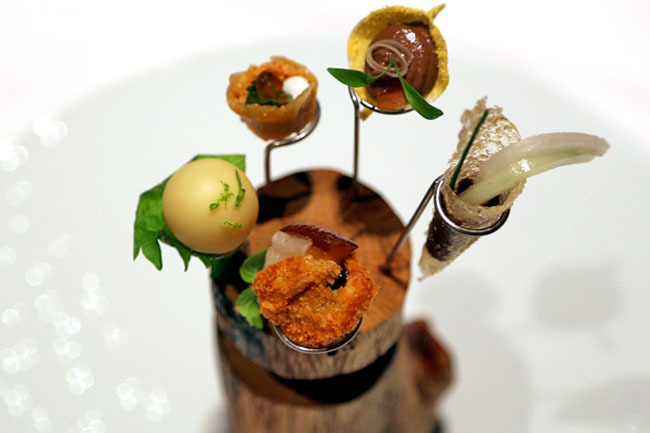 El Celler de Can Roca. Best restaurant meal of my life, nothing else comes close. Other travel tips: Girona is a beautiful quiet town, probably more populated now due to the fame of this restaurant. Excellent bakeries and restaurants all around, and do pay a visit to Jordi Roca’s ice cream shop Rocambolesc. Fab review! 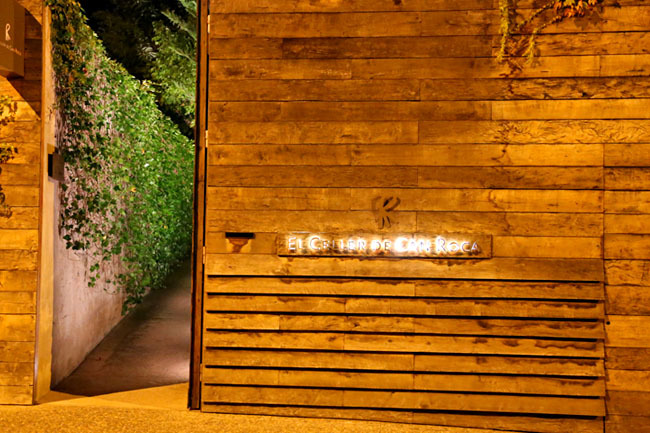 A few hours ago we received such an exciting email from El Celler confirming our reservation for next April, a treat as part of our honeymoon! Excited beyond words! We wanted to go ever since seeing Jordi on Masterchef about 5 years ago, the man is a genius! But I had no idea before reading your blog that he had an ice cream shop, thanks for posting this, I’m now even more excited than I was before!!!!!! Do spend at least a day or two exploring Girona. It’s a beautiful town with amazing foods around every corner. Thank you SO much for this informative review! indeed a top restaurant and one of the spanish gastronomic meccas! Getting ready to discover Thailand, reading your diary is very helpful. Greetings from Barcelona, glad you enjoyed our gastronomy. Are you looking to hire an editor by chance? I’d be glad to offer my services and take your writing to the next level. Let me know!